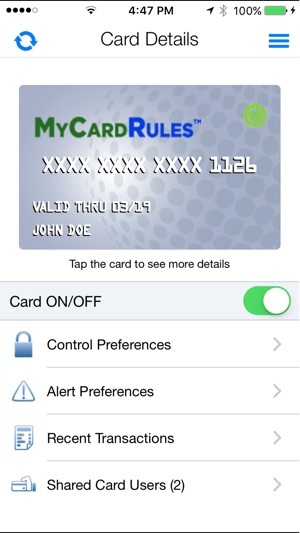 MyCardRules places the complete control over when, where, and how your card is used in your pocket. 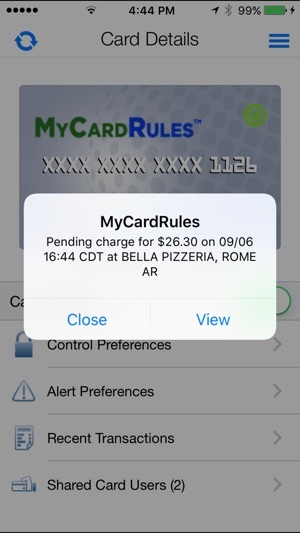 Whether you're looking to stop certain types of transactions, limit per-transaction spending, or if you just want to be notified on card activity, MyCardRules gives you the certainty and security you need. Includes Xcode 9 mandates, functionality enhancements and bug fixes. This app would get more stars if I didn’t have to always do a full login. My bank contacted the processing company and they said “That’s how it’s supposed to be.” After logging in with password, it MAKES you enter a passcode, teasing you that you can use that instead of a full login. 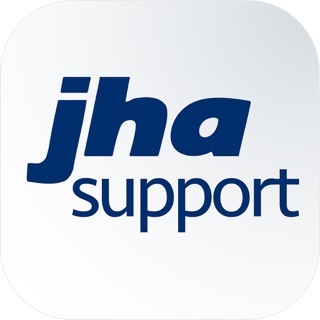 Them asks if you want to allow fingerprint access on iPhone, which I do. Then if you don’t open the app daily, you have to do it all over again! And THAT’S the way it’s supposed to be???? No one NEEDS to look at it daily!!! PLEASE FIX THIS!!! 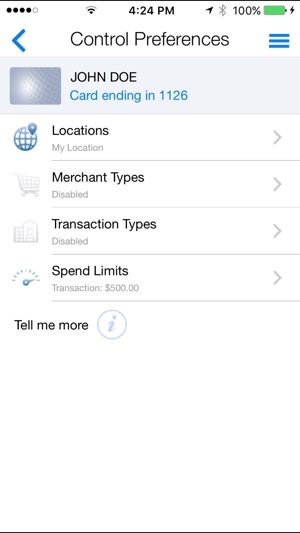 This app saved me from fraud charges on my account. I was laying in bed on a Saturday morning and my phone started going off. Thank goodness the bank was open and I was able to cancel my card within 30 minutes of the first transaction. Was great when it worked . 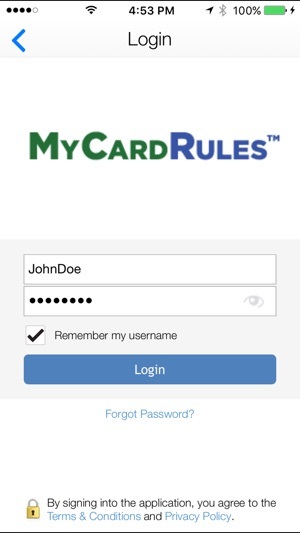 It made notifications every time myself or husband used our cards. But after months of working it has stopped making notifications. Nothing has changed in settings in the app or on the phone. 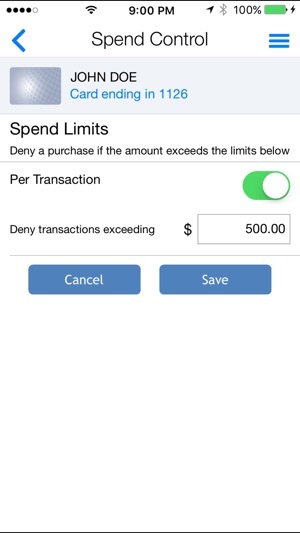 Still able to see most transactions, but not always all. Just wish it was like it was. Please fix it!